Helena is a Bachelor of Law and Business Administration. Specializing in corporate law, she handles corporate transactions and commercial-related matters, providing high quality legal advice in the negotiation, drafting and review of corporate and real estate contracts, mergers and acquisitions as well as bankruptcy and legal auditing issues. She also assists companies in their first steps of international expansion. 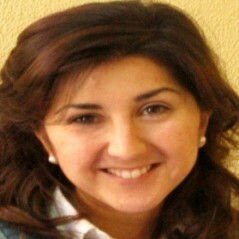 Helena Suárez has been lecturer at Universidad de la Coruña and writes frequently articles on management issues for national and international financial magazines. As member of the International Bar Association she is the National Representative of the Young Lawyers’ Committee in Spain.